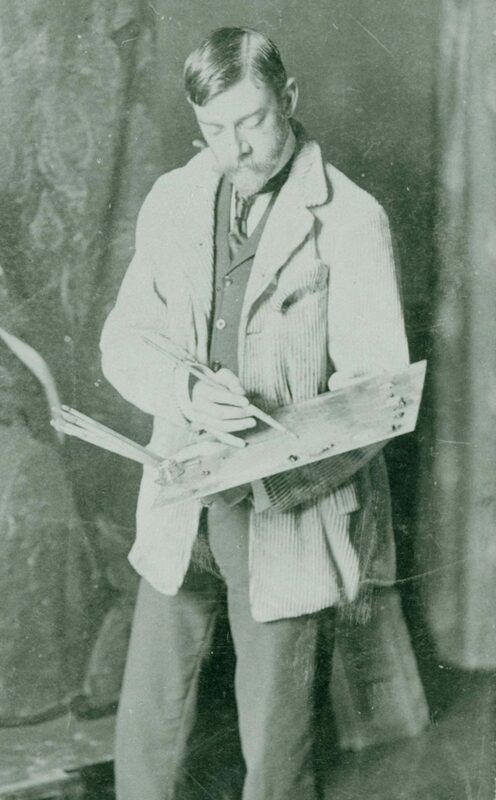 The artist Louis Paul Dessar, who leads the pack in The Fox Chase, was actually one of the first painters to join Henry Ward Ranger in Old Lyme in 1900. His relationship with the village would become a love affair with the surrounding countryside that lasted nearly fifty years. After staying at the boardinghouse that first summer, Dessar purchased a 600-acre farm on Becket Hill in Lyme the following year. 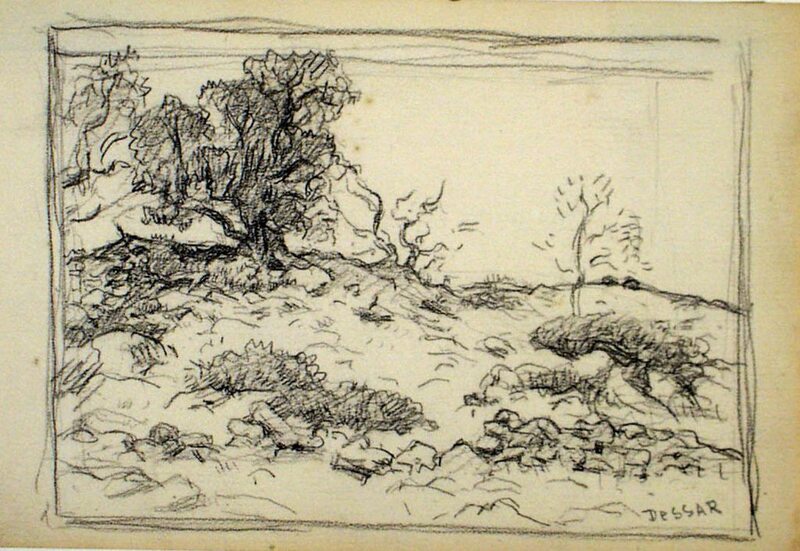 He planted an orchard on his Lyme farm and began raising sheep and oxen to be used as subjects for his paintings. This was just one of the big changes that defined Dessar as an artist. A particularly big change was what he painted. He began as a portrait painter after attending art schools in New York. Before his father would let him become a professional artist, he insisted that the young Louis prove his talent by painting a convincing likeness of him. 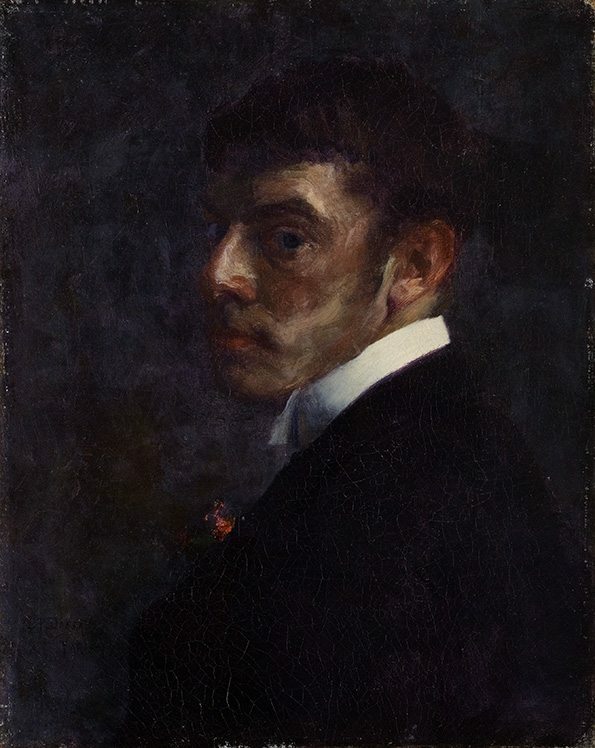 The portrait of the father must have been quite good because Dessar enrolled in the National Academy of Design in New York in 1883. After more art study in France and travels throughout Europe, Dessar began making a living by painting portraits of prominent New Yorkers. While working on a portrait one day in a New York drawing room, he became fascinated with the French landscape paintings on the walls. 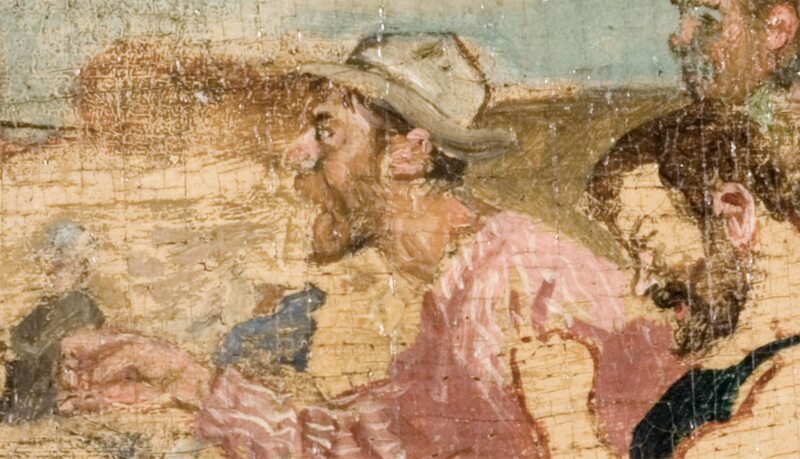 Later he came to Old Lyme with Ranger, where he began in earnest his determination to paint landscapes filled with farm workers rather than portraits of the wealthy. Nothing pleases [Dessar] more than, when twilight comes on, to stroll through the country roads and lanes and enjoy the restful charm of nature. As he puts it, ‘It is like another world to me – a world of dreams. Dessar’s moving to Old Lyme was another big change. After his marriage to fellow art student Elizabeth Coombe in 1891, Dessar stayed in a country inn in Giverny, France (the same village famous French Impressionist Claude Monet called home). Angered, however, after learning that the landlord had sold the panels Dessar had painted on a door, he and his bride left and purchased two acres in Étaples, France. At first they only could afford to build a small house with two rooms, but Dessar vowed to add a room to the house each time he sold a painting, and by 1899 his home was “rambling, and gracious.” The Dessars sold the property in France once they discovered Lyme. 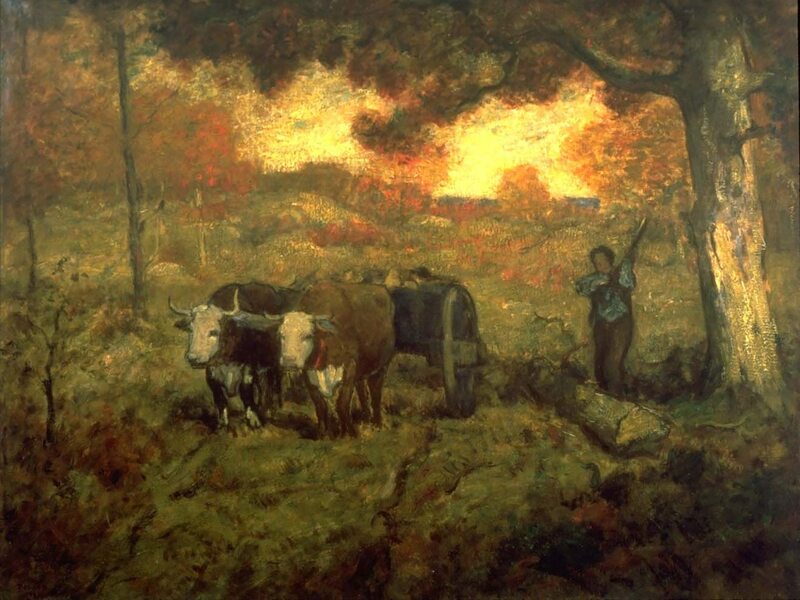 Before moving to Lyme, Dessar painted French fishermen, peasants, and shepherds, often in the golden light of dusk, not unlike the artist Jean François Millet, who made masterpieces from his observations of toiling peasants in and around Barbizon. Once in Lyme, Dessar continued painting these subjects, replacing the French peasants with New England farmers working alongside their animals. Throughout his career he favored an overall golden tone in his pictures, and would normally paint during the later part of the day. 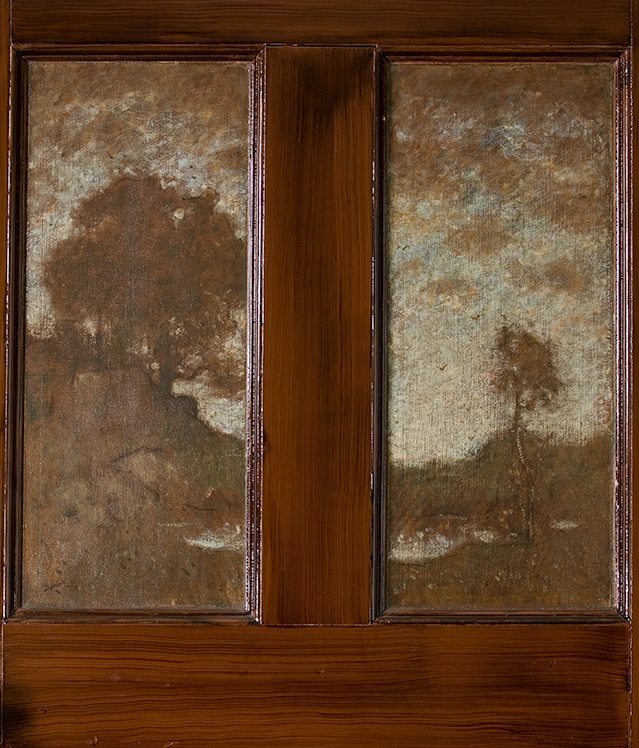 During the early years, Dessar painted an autumnal twilight scene on door panels in Miss Florence’s parlor, assured by her dedication to the artists that they would remain in situ and not be sold. He exhibited with the other Lyme artists off and on, but refused to have his art juried for exhibitions in New York. Despite his early fame and successes, he was forced to sell his Lyme farm during the 1930s, and by the time he died two decades later, he was impoverished and mostly forgotten.